Huntington Beach—nicknamed “Surf City” hosts numerous international surfing competitions that draw thousands every year. It is the northerly continuation of neighboring Huntington State Beach, and a multiuse trail runs the length of both beaches. Huntington Beach Multi Use Trail •Trailhead: Accessible entrances are at the state beach parking lots, the pier, 11th and 9th Sts., and Dog Beach. •Length: Over 4 total miles •Typical Width: 4 ft. & above •Typical Grade: Gentle •The trail north of the pier has several steep grades; south of the pier the trail is level. 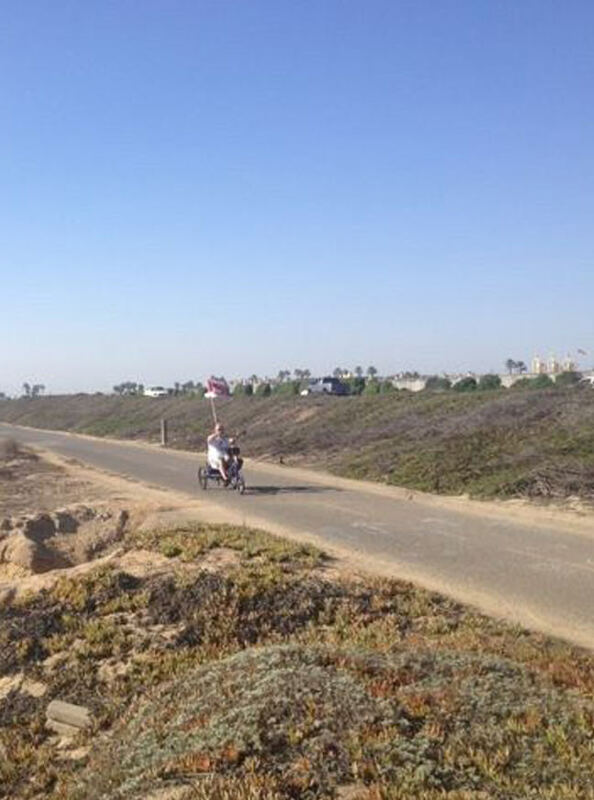 •Terrain: Hard Accessibility: •Beach Wheelchair: Yes •Available on a first-come, first-served basis at Zack’s Rentals (on the bike path north of the pier); (714) 536-8083. •Accessible Parking: Yes •Several lots are along Pacific Coast Hwy. : at Dog Beach, adjacent to Huntington Beach Pier, at 6th St., and at Magnolia St. A large parking structure is on the east side of Main St. between Walnut and Olive. List of beach parking lots. •Accessible Restroom: Yes •Numerous restrooms are along the trail. •Accessible Picnic Tables: Yes •At the south end of dog beach.